100% Satisfaction Guarantee! – Gumbusters of Utah offers a 100% Satisfaction Guarantee. We Provide a Work Statement! – Gumbusters of Utah provides a work statement so you know what you’re getting for your money! We’re Insured for Property and Liability! – Gumbusters of Utah provides a industry standard Certificate of Insurance for property and liability - this protects everyone! Now that’s a lot of gum! Chewing gum is everywhere! Look down at the sidewalks, those black spots are chewing gum. Have you ever tried to remove gum? Effectively? Has Graffiti Removal frustrated you? Are unsightly oil pan drippings accumulating in front of your business or home? Has your garage door faded with oxidation? Are cracks and pocking affecting your concrete driveway? As well as looking unpleasant, chewing gum is notoriously difficult to remove - so it’s a problem that requires a professional cleaning service. 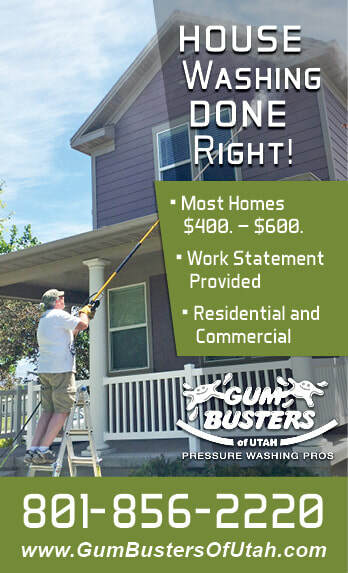 Gumbusters of Utah, LLC offers a full, effective chewing gum removal service that utilizes a high temperature water (Power Washing), 3500psi, cleaning system to swiftly remove the gum, grime and spillage. Our service includes a circular spinner full power wash cleaning of the affected area. We get your business pathways, entrances, and patios looking first class. we invite you to consider regularly power washing your property to help with maintenance and also keep your curb appeal inviting. If you’re a business, this tells your customers your establishment is a step above your competition. 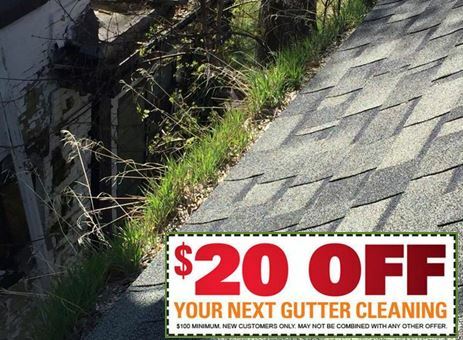 If you’re a home owner, this keeps your home looking good! Final cost determined by size of home, degree of clogged gutters, and factors specific to each job. ​100% Satisfaction Guarantee!